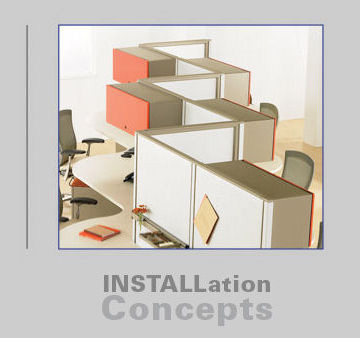 INSTALLation Concepts Inc. is a full service office furniture installation company. We provide a team of dedicated, qualified personnel who work in synergy to successfully solve your installation challenges. We provide installation solutions to the industries major product lines including: Knoll, DIRTT, Steelcase, Teknion, Hon, Haworth, Allsteel, Kimball, Trendway and Herman Miller to name a few. Our personal commitment to efficient, quality service, guarantees we will meet or exceed your expectations! Additionally, we are a proud member of the InstallNET® Preferred Provider Program. We have forged strong partnerships with companies whose quest for high standards matches that of our own and have a network of professionals with years of experience providing quality turnkey results. Call us today to find out more about the numerous services we can provide to you both locally and nationally. Office Furniture Installation Alliance (OFIA) utilizes a web-based platform that enables office furniture dealers to work directly with the most experienced furniture installation companies in the industry.